Search.browserio.com is the PUP that uses misleading techniques to prevent removal. Use Reimage to locate malicious components and get rid of them faster than with uninstall instructions. A full system scan blocks virus reappearance and prevents traffic to malicious domains. BrowserIO is presented as a reputable web browser, promising Mac and Windows users to provide a better and safer performance. However, having in mind that it can change your search engine to Search.browserio.com without even asking and then redirect you to websites that it needs, there is no doubt that it has to be avoided. All these programs can be installed as optional components that, if not prevented on time, can enter computer without asking a clear permission. Additionally, virus initiates needed system changes. 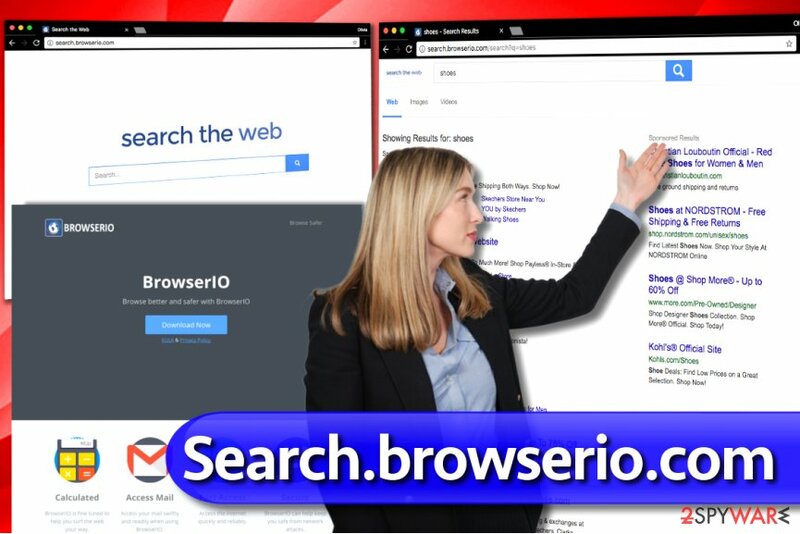 As we have said, it can change your start page or the default search engine to Search.browserio.com. You should not fall for using Search.browserio.com because it presents ads in its search results with the intension to redirect its users to sponsored websites. While you may think that ads and redirects is the main issue here we must point out that BrowserIO may trick you into visiting a malicious website, for instance, the one that requires your personal information or suggests installing unknown software. You will have to scroll through the ads to reach organic search results. However, even those can’t be fully trusted. We cannot assure you that some of the safe-looking results won’t lead you to untrustworthy sites, so we suggest being careful when exploring search results brought to you by this browser. The easiest way to cut down these risks is to initiate BrowserIO removal on Mac OS X or Windows. The geographic location of your computer and your Internet server provider. The collected information is usually used to “present you with offers for other products, offerings, programs,” which means that you are going to receive various ads during your browsing sessions. Besides, collected data might be shared with suspicious third-parties, so if you do not want that to happen, we strongly advise you to remove BrowserIO from Mac and Windows. To perform this procedure, run a trustworthy anti-malware program. If you do not have a security software yet, we strongly recommend using Reimage. Users who are not interested in spyware removal tools are invited to use free removal instructions provided below the article. Search.browserio.com virus hijacks web browsers and tries to promote a suspicious search engine against the user's wish. In general, various types of spyware travel next to popular free programs. Therefore, it is advisable to check what programs are bundled with your chosen software before installing it. You can access the list of programs bundled with your download by selecting Custom or Advanced installation settings. Usually, these options expand and provide pre-selected options to install “recommended” toolbars, search tools and other suspicious software that you most likely do not need. Deselect these programs and proceed with the installation. 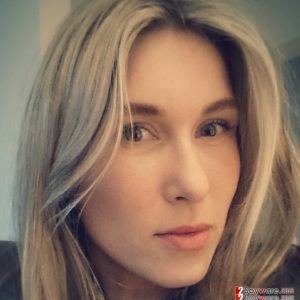 In case you are a German-speaking computer user, you can find useful security-related tips on Dieviren.de website. If you are looking for instructions on how to remove BrowserIO and related hijacker called Search.browserio.com virus from your system, you should read the tutorial we provided. It explains how to delete shady browser extensions, unwanted software and reset settings that the hijacker modified without your permission. In case you do not have time to fix your computer manually, you should try Browserio removal tools that we recommend below. All of them must be updated before running a full system scan to find all suspicious components. 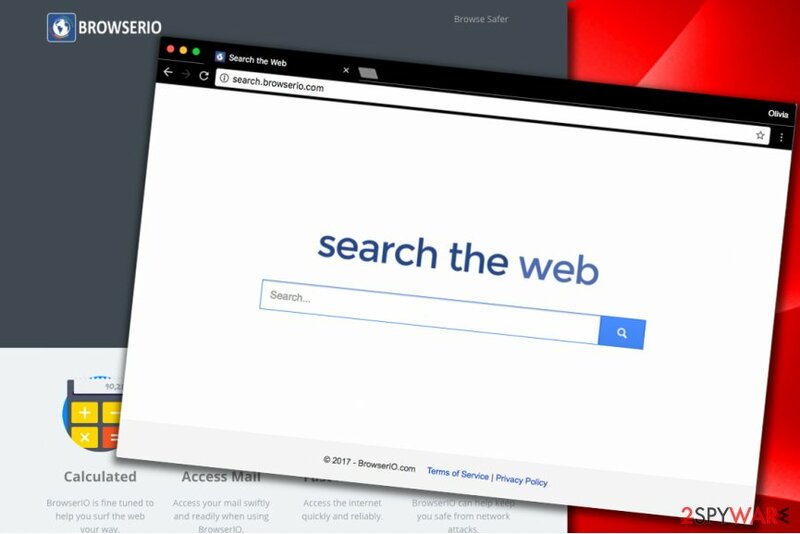 Use the given instructions to navigate through your computer and uninstall BrowserIO, Web Explorer “Search the Web”, SearchBar virus. However, to finish Search.browserio.com removal, you will also need to clean your system from other junk programs and browser extensions. Here, look for Search.browserio.com or any other recently installed suspicious programs. To remove BrowserIO from Mac, make sure you eliminate all these names related to this hijacker: Web Explorer “Search the Web”, SearchBar virus. Then, you should reset your affected web browsers. Wait until you see Applications folder and look for Search.browserio.com or any other suspicious programs on it. Now right click on every of such entries and select Move to Trash. When in the new window, check Delete personal settings and select Reset again to complete Search.browserio.com removal. Once these steps are finished, Search.browserio.com should be removed from your Microsoft Edge browser. Here, select Search.browserio.com and other questionable plugins. Click Remove to delete these entries. Now you will see Reset Firefox to its default state message with Reset Firefox button. Click this button for several times and complete Search.browserio.com removal. Check browser's extensions and remove BrowserIO components from Chrome. Here, select Search.browserio.com and other malicious plugins and select trash icon to delete these entries. Click Reset to confirm this action and complete Search.browserio.com removal. Here, select Extensions and look for Search.browserio.com or other suspicious entries. Click on the Uninstall button to get rid each of them. Here, look at the Homepage field. If it was altered by Search.browserio.com, remove unwanted link and enter the one that you want to use for your searches. Remember to include the "http://" before typing in the address of the page. Now you will see a detailed dialog window filled with reset options. All of those options are usually checked, but you can specify which of them you want to reset. Click the Reset button to complete Search.browserio.com removal process. ^ Linas Kiguolis. The best anti-malware software of 2017. 2-Spyware. Security and Spyware News. This entry was posted on 2017-12-14 at 08:49 and is filed under Stealing programs, Viruses. You can quickly scan the QR code with your mobile device and have Search.browserio.com virus manual removal instructions right in your pocket. How did you remove Search.browserio.com virus?